Number 4 High Performance Hair Care is a collection of hair care products that use all natural ingredients, essential oils and advanced hair care technology to keep hair healthy, supple and strong. Number 4 High Performance Hair Care products contain no harmful chemicals, sulfates or alcohol; all of their hair care products are made with vegan, gluten- and paraben-free ingredients. DrSkinSpa.com is an Authorized Retailer of Number 4. All Products are Guaranteed Authentic & Fresh. 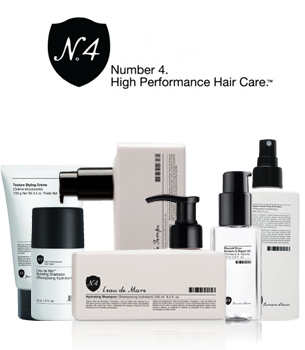 Number 4 High Performance Hair Care produces a line of Liquid Complex Culture, signature products for the company. The Liquid Complex Culture uses a blend of botanical ingredients for a boost to the hair. There are 4 available Liquid Complex Culture’s; Liquid Vitality Complex that provides youthful vitality for the hair, Liquid Defense Complex which hydrates and strengthens the hair protecting it from the environment, Liquid Vibrance Complex which nourishes the scalp and hair providing UV protection and Liquid Purity Complex a gentle cleanser that is sulfate free. Number 4 Reconstructing Masque is a deep penetrating moisturizing treatment that uses Jojoba seed oil which natural moisturizes and protects the hair. The Number 4 Super Comb Prep & Protect leave-in conditioning treatment strengthens and repairs the hair using vegetable proteins. Number 4 Blow Dry Lotion is a popular product in salons, it contains a soy protein which strengthens the hair and protects it during styling. The Blow Dry Lotion is an ideal product for clients living in humid climates because it controls frizz and prevents static. Number 4 High Performance Hair Care collections consist of a line of shampoos, conditioners, reconstructing lotion, leave-in treatments and styling aids. Number 4 High Performance Hair Care products are sold through leading hair salons and spas. 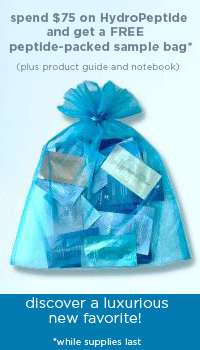 Number 4 Hair Care products have been featured in many upscale fashion and beauty magazines. Celebrities have taken a liking to the Number 4 High Performance Hair Care products because of their natural ingredients and powerful formulas.